(Feb. 4, 2019) – Students and community members from throughout the Tampa Bay area will have the rare opportunity to receive leadership training from an internationally-recognized youth ambassador for peace during Common Ground, a week-long series of initiatives aimed at fostering more civil, inclusive and compassionate communities. 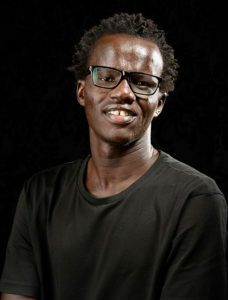 Kuany Kiir Kuany, 28, a native of South Sudan, is a project officer at The United Nations Educational, Scientific and Cultural Organization, Mahatma Gandhi Institute of Education for Peace and Sustainable Development (UNESCO MGIEP), activating and training youth around the world to encourage positive action and leadership toward greater civility. For the first time, Kuany will bring his work and personal experiences to the United States in February for Common Ground, which will be open to students and members of the community. The event is sponsored by USF St. Petersburg, the Open Partnership Education Network (OPEN) and other area colleges and universities as well as the Community Foundation of Tampa Bay. During the week-long event, Kuany will work directly with participants, offering day-long leadership trainings and designing initiatives aimed at fostering civility and creating common grounds towards more inclusive, sustainable, and collaborative societies. Kuany completed his elementary and high school education in Kenya while living as a refugee. He went on to earn the Indian Council of Cultural Relations and Symbiosis International University Joint Scholarship, where he graduated with highest honors with his MBA. The daily workshops will aim at building the soft competencies of collaboration and empathy, critical thinking and hands-on project management skills for social change. By the end of the week, participants will have designed community-wide projects to be implemented in their respective communities in the course of 2019. Each evening of the week of Kuany’s visit, members of the public are invited to community-focused arts events including dance, visual arts, spoken word and performance art. The events are free and open to the public.